The researchers, spanning 13 universities and three countries, were led by UBC Okanagan's Adam T. Ford and Liber Ero Postdoctoral Fellow Laura Coristine. They recently examined the leverage an individual country has when it comes to protecting ecosystem values. And they say it isn't—nor should it be—a level playing field. Ford, a Canada Research Chair in Wildlife Restoration Ecology, says the researchers calculated the land mass of the world's countries and then compared this to the availability of ecosystem values. The eight largest countries—Russia, Canada, America, China, Brazil, Australia, India and Argentina—account for 50 percent of the Earth's land area. However, those same countries represent barely three percent of the world's nations. 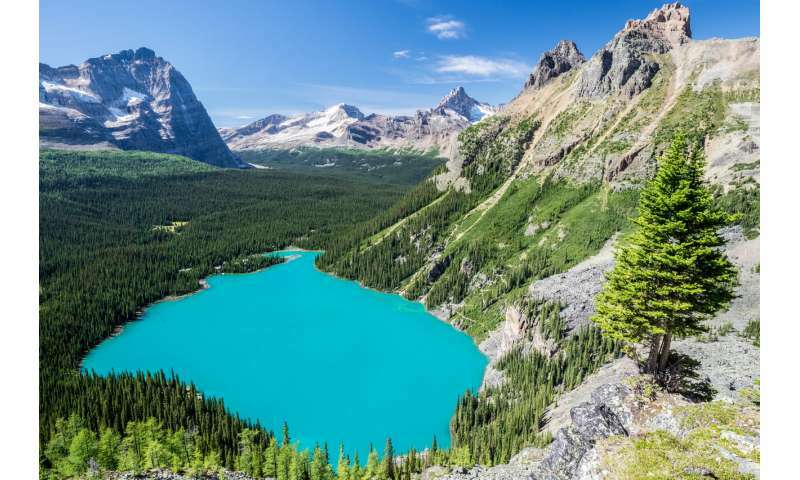 For example, when it comes to freshwater availability, Coristine explains that more than 75 per cent of the world's total water supply (surface and glacier stored) is found in only three countries—China, Canada and Russia. How these countries manage and protect these water supplies matters to the world as a whole. "Conservation superpowers—like Canada and Russia—have much greater leverage than we would predict based on their land mass," says Coristine. "They have tremendous potential to impact global conservation outcomes through accumulation of ecosystem values and through policies that support conservation."